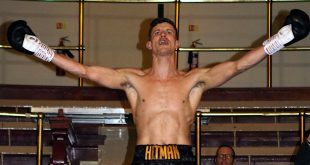 At the Kings Hall, Stoke-on-Trent, last night, Carl Greaves Promotions staged an evening of boxing which showcased local talent from Scott Lawton’s ‘Impact Boxing’. 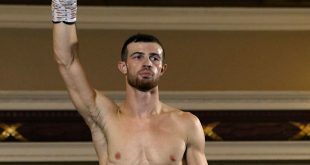 An exhibition bout over four rounds between Chris Nixon and Jarrett Doherty kicked off the nights boxing. 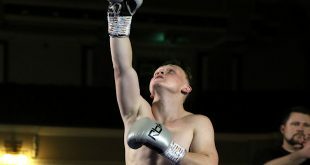 Cruiserweight - Rhasian Earlington of Newcastle-under-Lyne looked impressive but was facing tough, experienced Elvis Dube who looked heavier than usual. Dube was on the canvas at the end of the first round but got back up to see it to the end of the four rounds. Siany getting the points win 40-35. 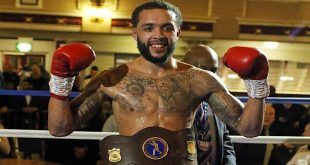 And Debutant Jamal Le Doux of Hanley did well against experienced Darryl Sharp of Middleton in their four round Light-heavyweight contest to secure his first pro win on points 40-36.